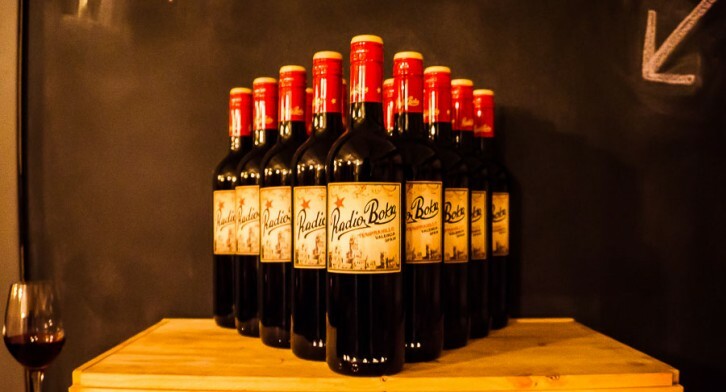 Synonymous with citrus groves, the scenic Valencia is home to many Spanish delicacies, including a new Tempranillo debuting at the LCBO with the distinctive name, Radio Boka. Last week at iYellow Wine Cave, I had the pleasure of tasting this versatile red with the makers of the wine. 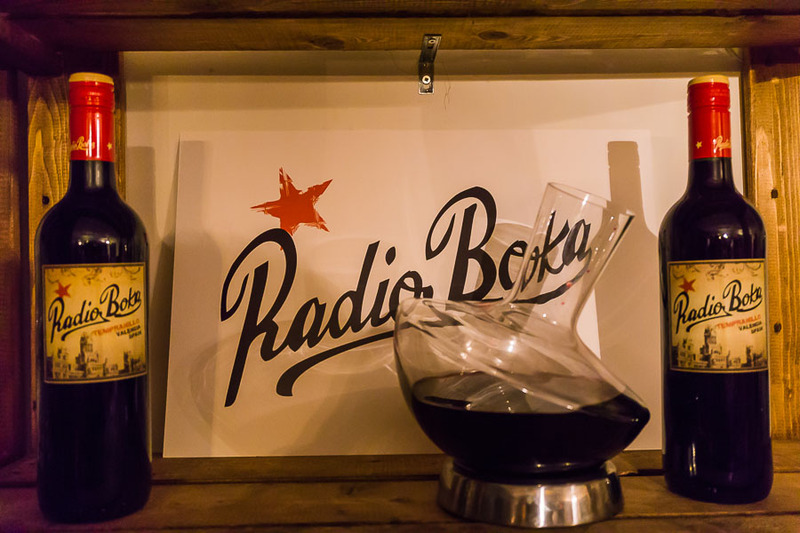 “Radio Boka is unpretentious”, says winemaker Daniel Giménez Alba, “but still sophisticated”. In the cozy, dimly lit iYellow Wine Cave, Daniel poured me a glass of his latest creation. 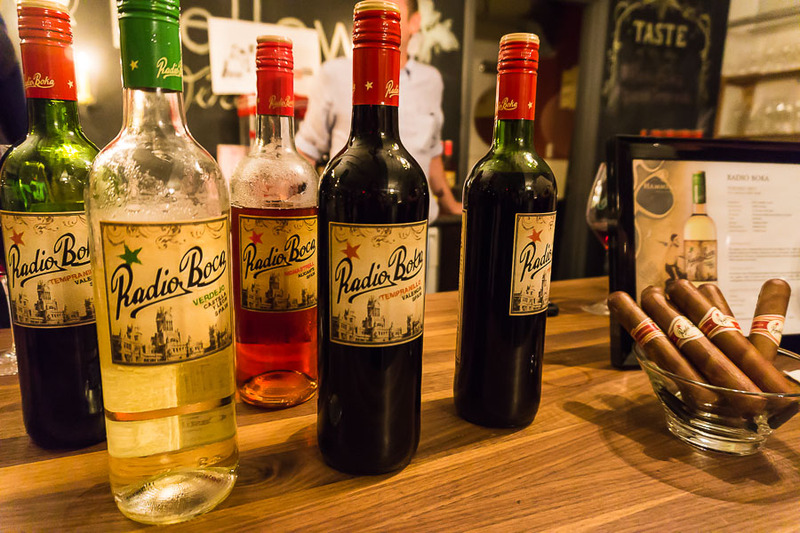 He and his business partner, Nicholas Hammenken, had travelled far from their native Valencia, Spain to Toronto, to spread the good news about Radio Boka. “What do you think about the wine?”, both Nicholas and Daniel asked me. I carefully examined my glass. Dark ruby in colour, with notes of cherries and berries on the nose, the aroma of Radio Boka invokes memories of warm weather. I took a sip. Sweeter than the average Tempranillo, the tannins in this full-bodied wine are smooth and refined, with a hint of smoke on the palette. “This is a summer wine, perfect for barbeques“, Daniel commented, adding that Boka is still flexible enough to enjoy all year around. Courtesy of iYellow, our tasting also included a spread of gourmet cheeses and cured meats, which only brought out the bright fruitiness of the wine. Nicholas further explained that it’s the unoaked method that produces Radio Boka’s characteristic, rich fruity flavours. Deliberately not disclosing too much of their own opinions about Boka, Daniel and Nicholas wanted to see how we would enjoy and describe the wine. Nicholas, who has been in the wine business since 1996, went on to reveal the concept behind their product’s peculiar name. “Boka (or boca) means mouth in Spanish”, he gestured. He and Daniel want their customers to spread their own voices about the wine, in a “word of mouth” style. Influenced by social media and its ability to give the power to the people to broadcast their message, the team took this idea and gave it a retro twist, bearing the name Radio. From the vintage inspired graphics of the bottle label to Boka’s relaxed flair, this is no ordinary boring Tempranillo. I was surprised to learn that Radio Boka is selling at the LCBO for only $10.95, which is a steal for such a complex wine. The gracious and down-to-earth duo not only chatted extensively with guests about their wine which uncovered their passion for the business, but also joked and spoke candidly about the amusing experiences along their trips. True to the motto of Radio Boka, Nicholas and Daniel have chosen the humble grass roots approach to broadcast the marvels of this unique Tempranillo. Address: 243 Queen St. W.